WIWT : Skirt and Heels | escaped. Missed this tab yesterday. FAIL! Anyway, this was what I wore yesterday. 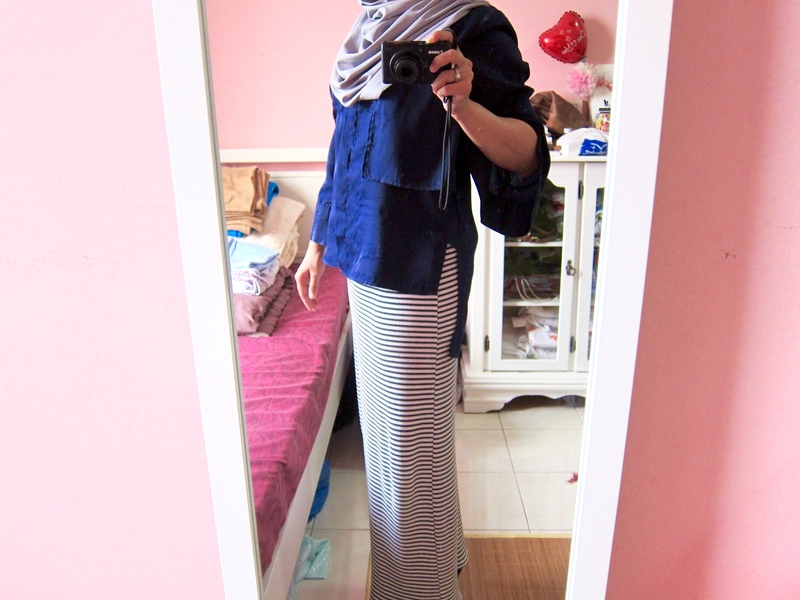 Remember the Zara skirt I love so much during pregnancy? It's making its comeback! 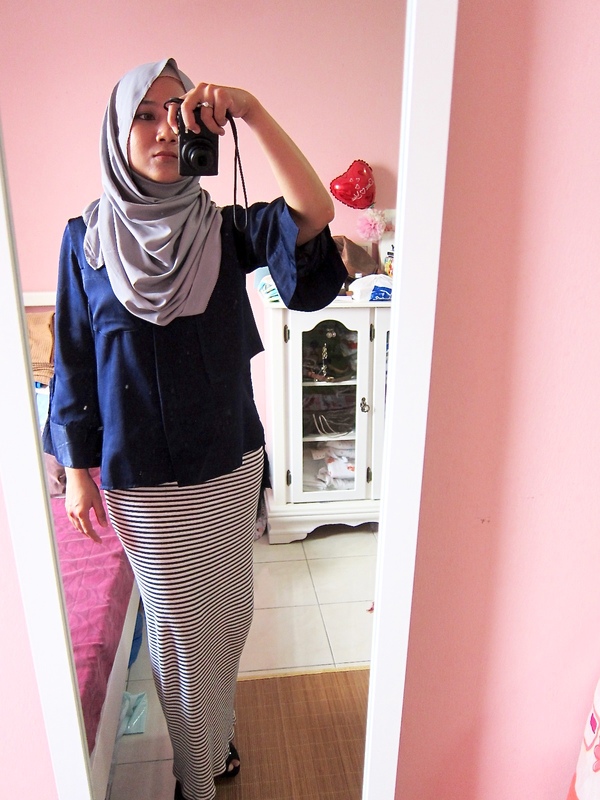 Navy blue top is from LINE 32, my favorite brand at the mo. One weekend, we thought we could be adventurous KL-ites too, and decided to go to Empire Shopping Gallery to check it out and well, shop. Passed by LINE 32 and dropped by the shop while Shahrul looking over Rayyan. Went out of the store with 3 new tops, including this one. Love everything about their products - the material, the cut, the color. Now I'm eye-ing their white shirt dress, but am too broke FML. Tudung from dUCkscarves bamboo cotton in Mushroom Soup. Btw, I can no longer fit my ALDO heels T.T It was bought as my hantaran shoes, and only worn once before I got pregnant and my feet could no longer fit in (comfortably). I've forgotten the size but pretty sure it's between size 4 and 5 (the smallest size available at ALDO). It's in black with beaded lace and open-toed. Am letting this go so drop me an email at zatil@zatilaqmar.com if you're interested!